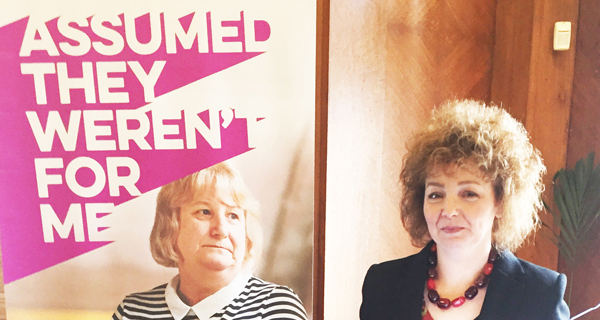 Members of the Northern Ireland Assembly support our new campaign aimed at raising awareness of unclaimed welfare benefits. Members of the Northern Ireland Assembly have come out in support of a new campaign aimed at raising awareness of unclaimed welfare benefits. The #BenefitsAware Campaign, launched by charity Turn2us, is highlighting the extent to which people on low incomes are missing out on help that they could be entitled to. The campaign attracted support from MLAs at a special event in Stormont on Thursday 16 June. Research from the charity, which surveyed over 1,500 people on low incomes from across the UK, including Northern Ireland, revealed that 48% of low income households are not claiming support that they could be eligible for. Nearly three-fifths (57%) admitted they have been deterred from checking or claiming potential benefits entitlements because they did not think they would be eligible. The charity provides a range of resources for those in financial need, including a Benefits Calculator, at www.turn2us.org.uk where people can find out what they are entitled to, how much they could receive and how to claim. For more information about the campaign, please visit Turn2us.org.uk/BenefitsAware.